The Finance Linked Individual Subsidy Programme (FLISP) funds are available, but yet only +/- 400 were approved in the Western Cape in 2017. This is a small number if one considers the number of property sales in the affordable housing market. National and Provincial Government is unable to meet the rising demand to supply housing in the affordable market. The Western Cape Provincial Minister of Human Settlements, Bonginkosi Madikizela, also expressed on more than one occasion that they want to steer away from the concept of “free housing”. The solution vests in the correct application of existing government subsidies. The quickest turn-around for a Flisp Subsidy approval, from lodgement, up to approval was 24 hours, says Verna Pugin who started a business a few years ago, to assist home buyers and estate agents process FLISP applications. Home ownership in the “affordable market“, however, can be adequately enhanced and supported with existing available government subsidies like FLISP. The programme is a subsidy linked to a financial “package”, hence the pre-approval of a home loan being an integral part of the FLISP application. As home buyers, estate agents, mortgage originators are not properly informed about the application of FLISP, many opportunities to convert unsuccessful home loan applications goes awry, property sales are lost, as well as opportunities for home buyers to own their own homes. 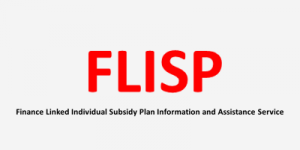 FLISP subsidy applications must be submitted in a well-structured administrative manner. Including a uniform standard of policy terms and conditions must apply. Each province as well as each Department of Human Settlements and National Housing Finance Corporation (NHFC) has its own policy “terms and conditions”. To support the administrative structures of the Department of Human Settlements and NHFC the FLISP service company has already taken the initiative to provide support and service and are already appointed by a leading financial institution to assist with these applications.